In the following simple solution, I’ll show you how to attempt to Repair Windows Update or Automatic Updates automatically by using an innovative little tool called “Rizone’s Internet Recovery Kit” created by Rizone Technologies. 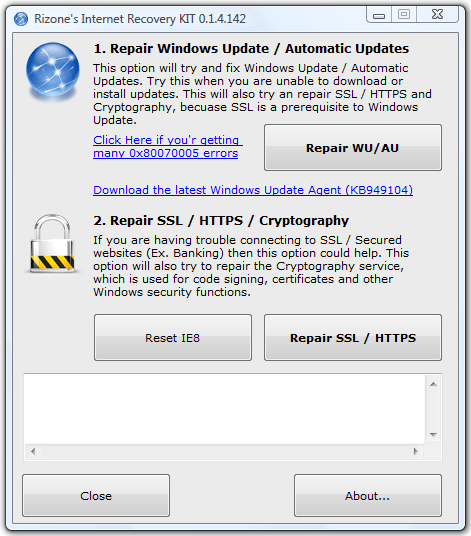 This tool can also be used in an attempt to repair SSL/HTTPS/Cryptography if your having troubles connecting to secured websites. I.E. Bank Account logins, PayPal etc.